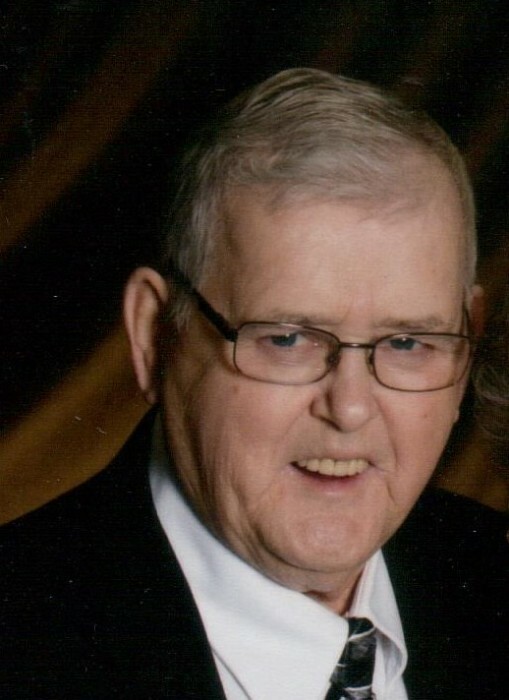 Robert Willis “Bob” Rumbaugh, 79, of Chicora, went to be with the Lord Tuesday, December 4, 2018. Born in Kaylor on September 29, 1939, he was the son of the late Wilbur Parks and Helen Viola McElhaney Rumbaugh. He attended the Chicora Alliance Church. He was a 1958 graduate of Karns City High School and attended Butler County Community College for Management Development and Supervisory Courses. He worked as a superintendent at Pullman Standard and a supervisor at Trinity Industries until both mills closed. He then went to work for Swank Associated Co. Inc.
His greatest love was driving tow truck for Rumbaugh Motors and later started Rumbaugh Towing with his son, Robert Dale Rumbaugh. Bob was an avid hunter and had a love for Nascar racing. He served in the Pennsylvania National Guard for 8 years. He was a life member of the Chicora Volunteer Fire Dept. and a member of the V.F.W. and Happy Hunters Club. Bob is survived by his wife, Dolly May McDaniel Rumbaugh, whom he married on June 27, 1960 at St. Matthew’s Episcopal Church in Wheeling, WV by the Rev. Scott Harin. Also surviving is a son, Robert Dale Rumbaugh and his wife, Carol of Chicora; four brothers, Howard Rumbaugh and his wife, Cheryl, of Cabot Alvin Rumbaugh and his wife, Tanya, and Bernard Rumbaugh and his wife, Diane, of Chicora, Dennis Rumbaugh and his wife, Leann, of Butler; a sister, Lois Rumbaugh of Chicora; his brothers-in-law and sisters-in-law, Rachael Rumbaugh of Circleville, OH, Emily Rumbaugh of Clintonville, Rosemary Rumbaugh of Chicora, Bill Smith of East Brady, Doris Rooks and her husband, James, and Donna Gold and her husband, Glen, all of Butler, as well as number or nieces, nephews, and cousins. Also surviving are his grandchildren, Briana, Jessica, Robby, and Emma, who were the joy of his life. In addition to his parents, he was preceded in death by five brothers, Harry, Walter, Richard, Jack, and Donald Rumbaugh; three sisters, Ruthie Rumbaugh, Virginia Rumbaugh and Maxine Rumbaugh Smith, as well as a number of brothers-in-law and sisters-in-law and two nephews. Friends will be received at the Hile Funeral Home of Chicora, 339 Chicora Fenelton Rd., Chicora, from 2 – 4 and 6 – 8 p.m. Thursday. A funeral service will be held at the funeral home at 11:00 a.m. Friday with the Rev. Mark Wallace, pastor of Chicora Alliance Church, officiating. Interment will be at Butler County Memorial Park. The Chicora Fire Dept. will conduct a memorial service at 7:45 p.m. Thursday at the funeral home. Memorial contributions may be made to the American Cancer Society at www.cancer.org or the American Heart Association at www.heart.org. For additional information or to send a condolence, please visit www.hilefh.com.